Much of our appearance is defined by our genes, but when it comes to our skin, other elements including sun damage, pollution and in particular, aging, can have significant effects too. This is because as we get older, our natural production of collagen slows, which causes our skin to become loose, and eventually sag and wrinkle. The neck is one of the most obvious areas of the body affected by lost skin elasticity. In addition to this, as fat decreases and becomes displaced by gravity, jowls can also appear under the chin, causing the neck to look even more wrinkled. In many cases, this is referred to as a “turkey neck” and it is a feature commonly seen in old age. Are you suffering from severe neck sagging? Neck lift surgery is a popular and effective option for restoring structure and smoothness in the neck and jaw area. Many people report that they are frustrated by the effect that loose skin on the neck has on their appearance. People who suffer from an accumulation of wrinkles and sagging skin on their neck regularly wear turtlenecks and scarves in an attempt to disguise this imperfection. Thankfully, there is a solution. It may be one of the lesser known plastic surgeries, but a neck lift can drastically alter your appearance, making you look and feel more youthful. What is involved in neck lift surgery? A neck lift is a relatively straight forward cosmetic surgery that is designed to improve the contour of the neck and define the jaw. It works by lifting the soft tissues on and around the neck and positioning them into a tighter and more youthful appearance. It is performed under a general anesthetic, and you may even be able to go home the very same day. The entire procedure usually takes under two hours, but this can vary depending on the extent of the surgery. A neck lift is a great way to help patients feel refreshed and rejuvenated without the need for extensive facial surgery. Not only will a neck lift reduce the presence of lines and wrinkles in this area, it will also strengthen and contour the appearance of the jaw line, giving you greater definition. These features together can help you to look years younger than you really are. 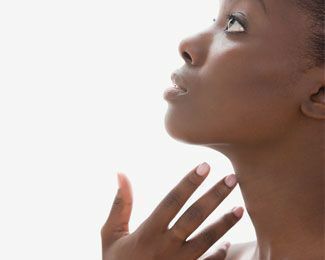 Most patients who choose to undergo a neck lift discover that they experience a range of psychological benefits too, including increased self-esteem and greater confidence, the effects of which can improve your personal and professional life. 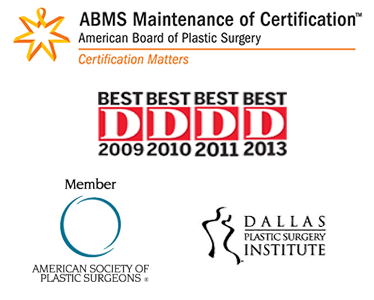 Advanced neck lift surgery techniques mean that scarring is minimal, and the overall effect is extremely natural. However, it is important to remember that it can take six weeks or more for the swelling to completely disperse and for the final and permanent appearance of the neck to become visible. If you look in the mirror and are disappointed by the appearance of your neck and would like to find a way to turn back the clock, you might be a good candidate for neck lift surgery. Our experienced, knowledgeable, and double board-certified surgeon, Dr. Jason Potter, is delighted to be able to offer neck lift surgery to patients in and around Dallas. To schedule your consultation, please contact our office today at 214-540-1420.